Designed for children 3-5 years. 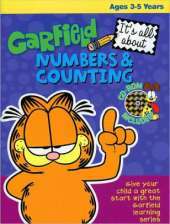 The workbook and CD-Rom introduce children to the concept of Numbers and Counting. Activities include number recognition from 1-20, number order, counting skills, odd and even numbers, bigger and smaller numbers and other activities designed to improve your child's basic understanding of these topics.